BRYAN EATON/Staff photo. 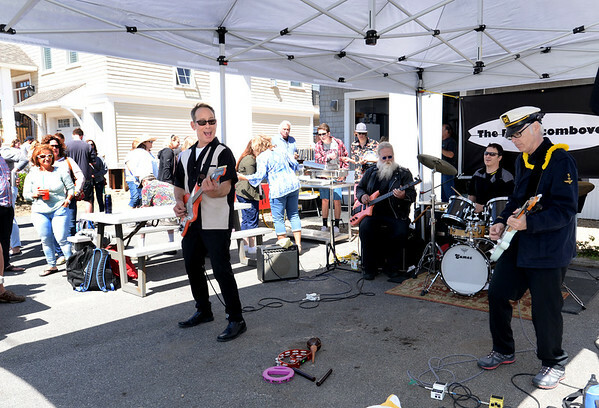 The Beachcombovers played their surf music in Bob Connors' Annapolis Way driveway during PlumFest on Saturday. The daylong music event brough hundreds to the sland via car, shuttle or bicycle to hear a variety of music on people's porches, patios or driveways.